Students at the Valley Stream Union Free School District Thirteen’s Howell Road Elementary School recently enjoyed a day full of water slides—not at a local amusement park, but in the convenience of the students’ classroom. 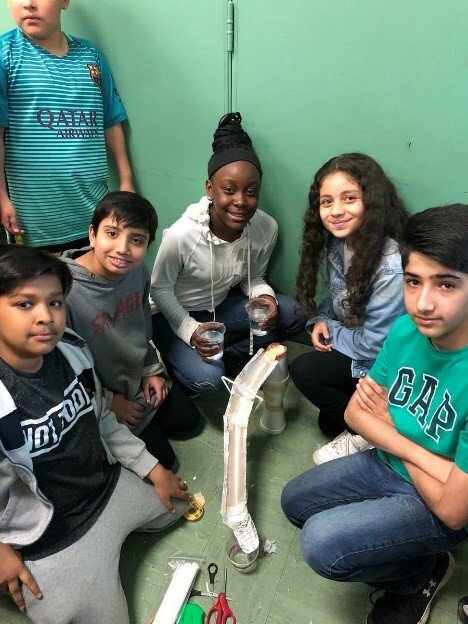 Ms. Rance’s sixth grade students constructed their own water slides using classroom materials including paper towel rolls, plastic cups, paper, and tape. Students then tested their creations—pouring water from the top of the structures to ensure that their slides were resistant to any leaks or unintended diversions. 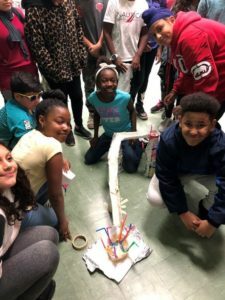 The District continues to integrate STEAM into all aspects of students’ daily curriculum and extracurricular activities through interactive, group activities. Now, when students visit Splish Splash or other regional waterparks this summer, they’ll have an understanding of the engineering techniques behind building a water slide.